Here's another peek at Ninth Art's upcoming The Shirley Jackson Project: Comics Inspired by Her Life and Work. 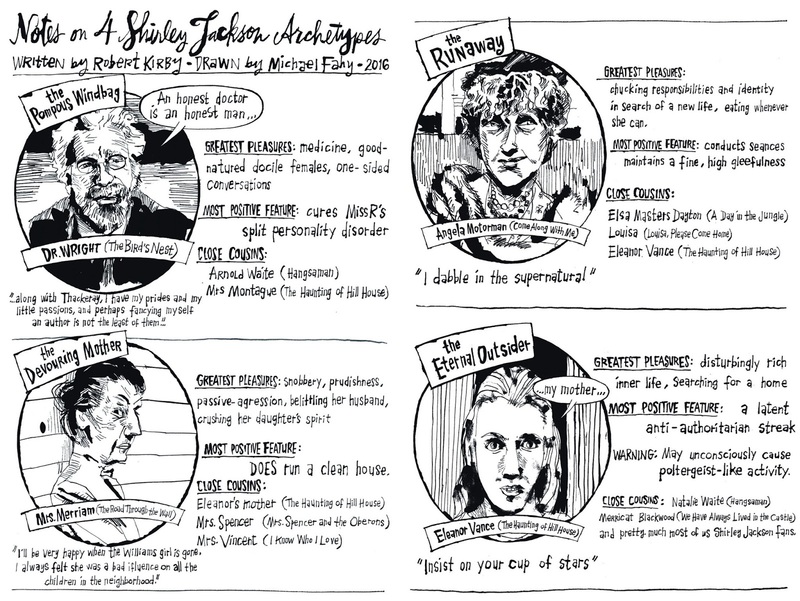 This feature, a little primer on some of Jackson's recurring archetypes, written by the book's editor, Rob Kirby, and drawn by cover artist Michael Fahy. More soon... and in September, the book itself!